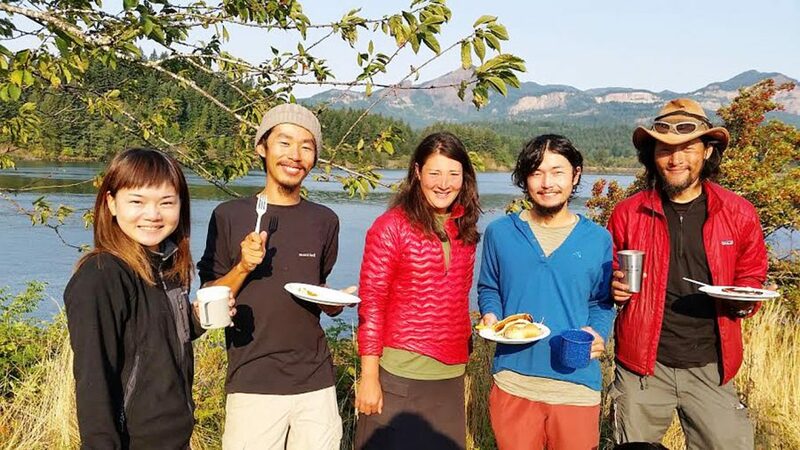 Last year, TRAILS Cultural Magazine interviewed Japanese hikers about what trails they would like to hike. One of the findings is that in the past few years, it has become common for Japanese people to come to America to hike the PCT or JMT. 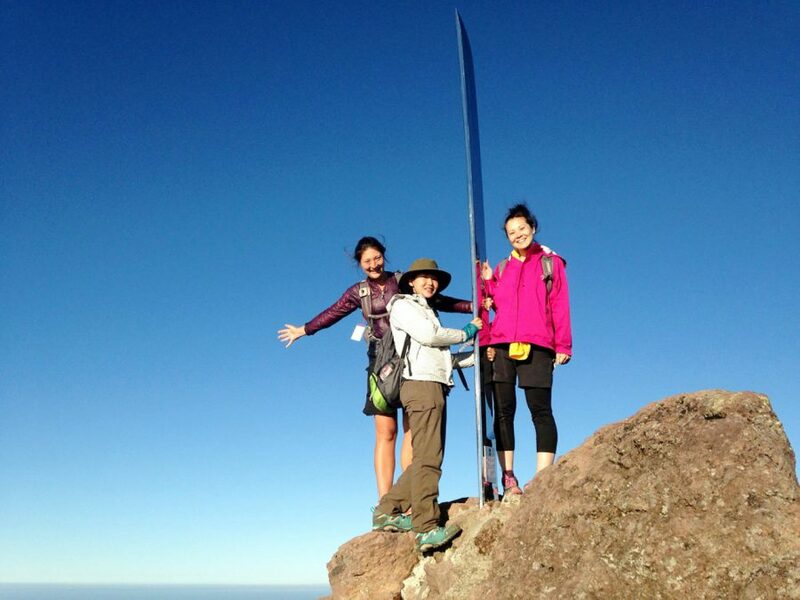 Hikers from Japan at PCT Days in 2014. But so far, not as many Americans have visited Japan to hike. I was curious how much American hikers know about trails in Japan. I wanted to know why aren’t more American hikers going to Japan to hike? To find answers, I surveyed 115 American hikers and summarized the data to better understand what Americans think about hiking in Japan. The summit katana! Image courtesy Kat Thomas. 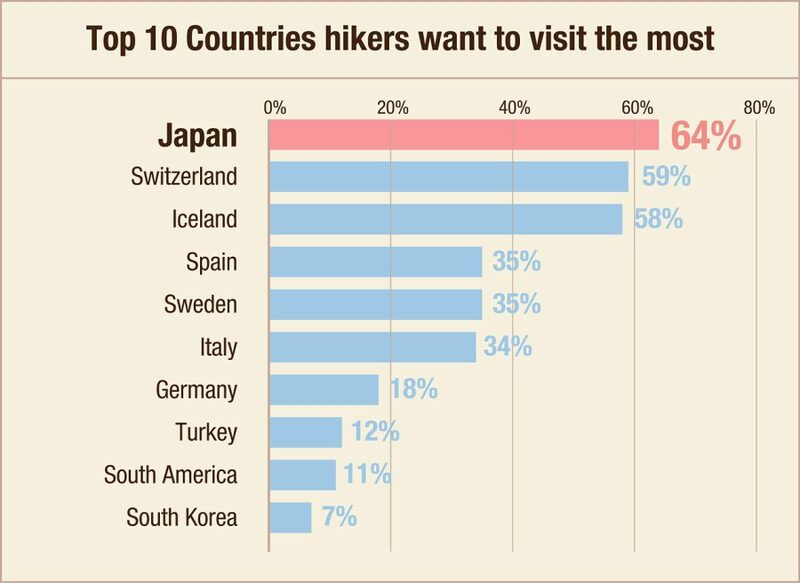 Among all hikers, Japan was the country hikers wanted to hike in the most. The survey asked hikers to pick the top three “dream hiking countries.” I specifically asked hikers where they wish they could hike if language were not a barrier. 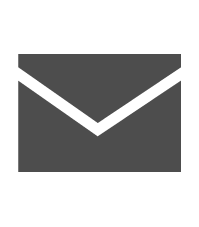 This list does not include English-speaking countries (however, English is common in some of the European countries on this list). Although Americans were very interested in hiking in Japan, they tended to not know much about the famous long trails in Japan. The survey asked hikers what trails in Japan they have heard of. They answered all the trails they had ever heard of, regardless of whether they knew much more about the trail than it is exists. By far, the pilgrimages are the most famous trails in Japan.Many Americans knew of the traditional clothing that pilgrims wear on the 88 Temple walk. 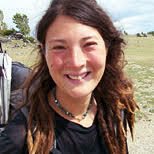 Similarly, several American hikers told me they knew about the Kumano Kodu pilgrimage because it is the “sister hike” to the Camino de Santiago in Spain. When hikers complete both the Camino and the Kumano Kodo, they are granted “dual pilgrim” status. American hikers who had hiked the Camino were very excited about one day getting to hike the Kumano Kodo, especially since it is not as long as the Shikoku Pilgrimage. 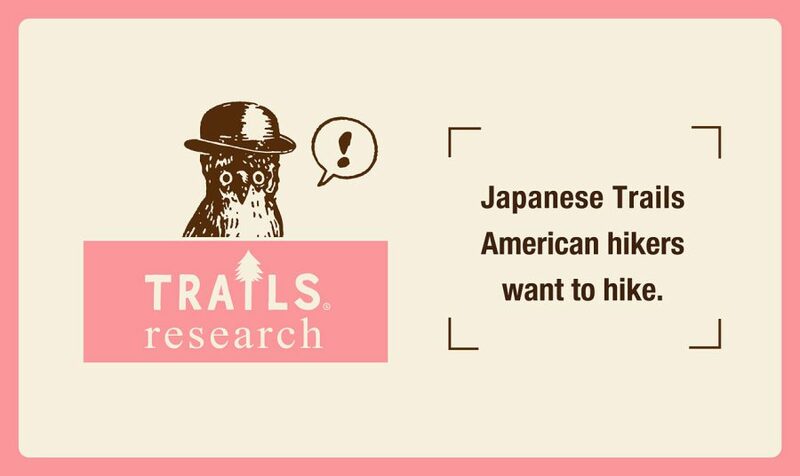 In last year’s Trails Research, Japanese hikers were surveyed to discover which trails in Japan they wanted to hike the most. The number 2 trail hikers wanted to walk was the Kita Nemuro trail. However, surprisingly, no American hikers had ever heard of this trail! 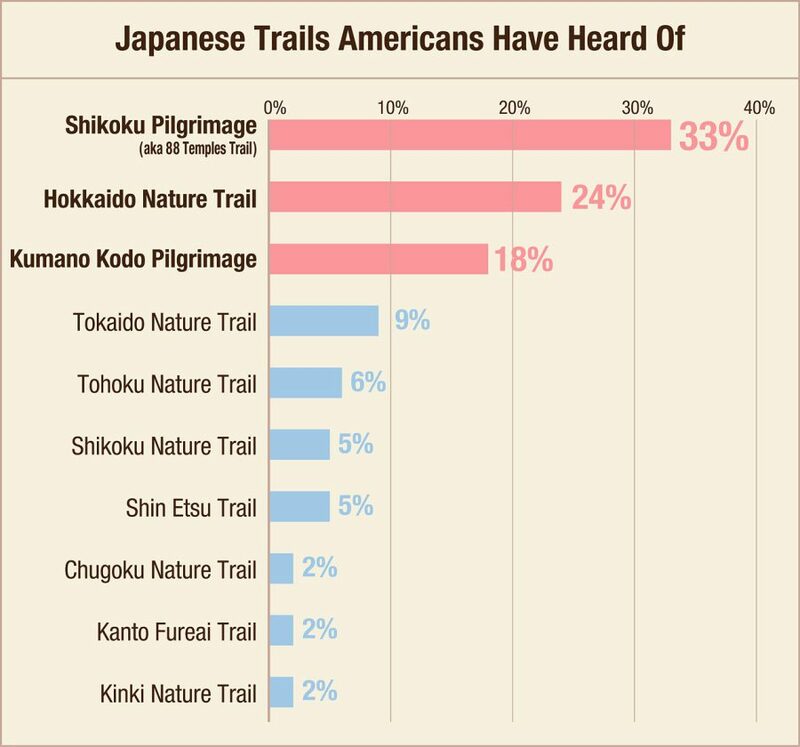 I found this very interesting that Americans have not even heard of a trail that is popular among Japanese hikers. Kita Nemuro trail in Hokkaido. 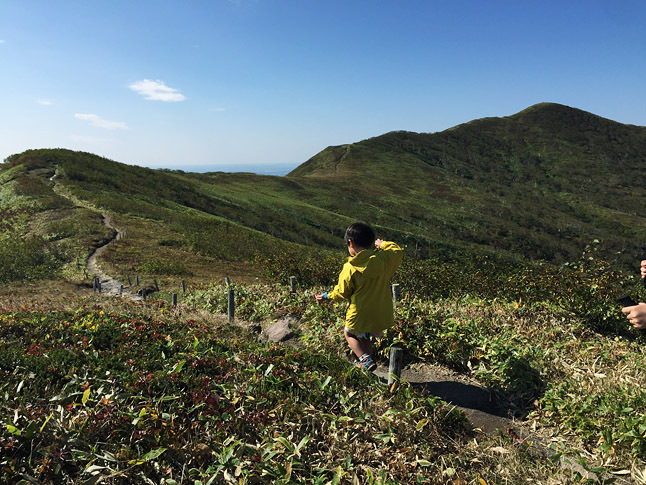 Several American hikers surveyed said they had heard of other long trails in Japan that were not in the questionnaire such as the Kyushu Trail, Nakasendo Trail, Sansai Picker Trails, and Tottori Walking Trail. Many American hikers have heard of or seen photos of the Japanese Alps, but Americans did not know if there was a long trail through those mountains. The Mt. Fuji circuit is not, as far as I know, a named long trail. That’s one reason I did not include it in the survey. However, many American hikers wrote it in as a trail they have heard of and want to hike. 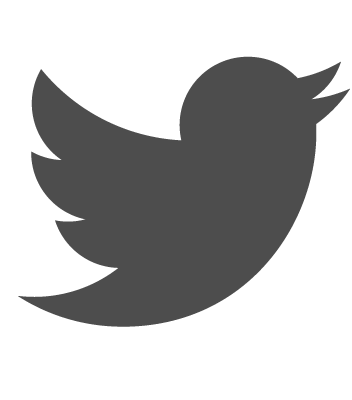 I suspect this is because of the popular Mt. Fuji ultramarathon. Several American trails circumnavigate volcanos, like the Timberline Trail shown here. Photo by Kate Hoch. 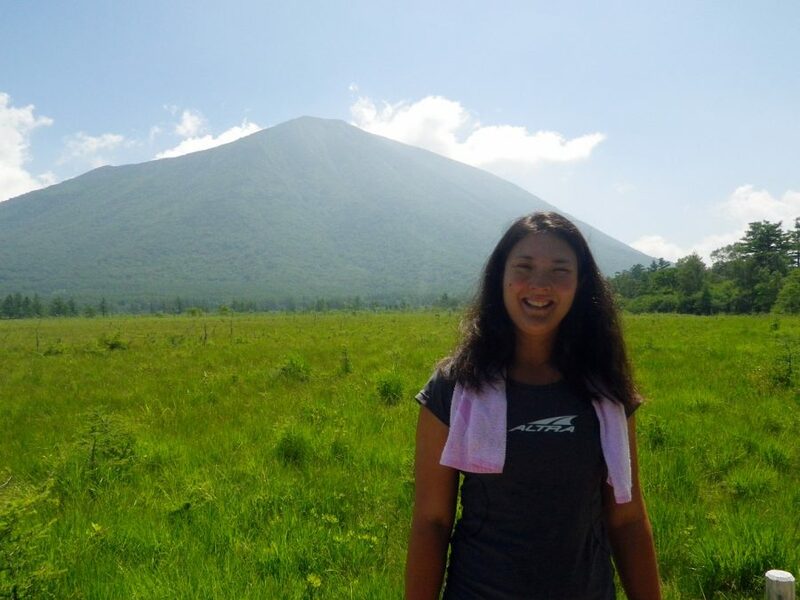 Many American hikers want to climb Mt. Fuji, but some are looking to turn that hike into a longer backpacking trip. Walking around Mt. Fuji could be a way for hikers to do that. 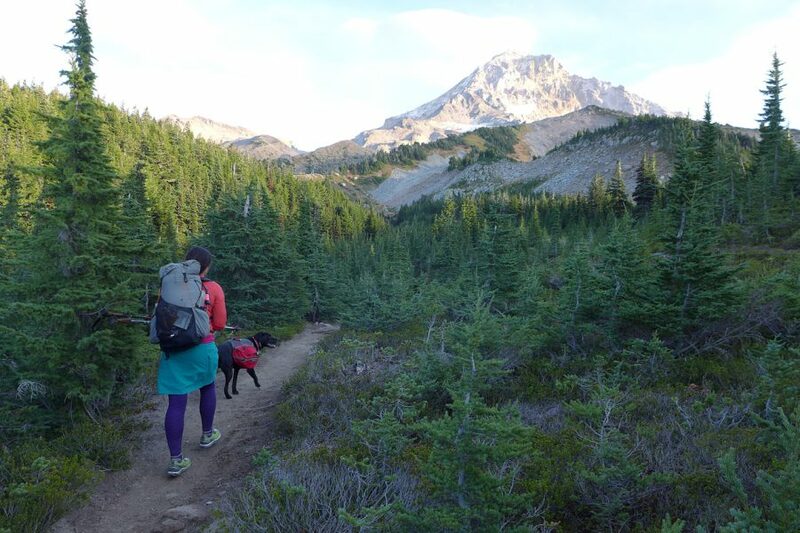 This is especially of note because of the popularity of several trails in America that circumnavigate volcanoes such as the Wonderland Trail (around Mt. Rainier) and the Timberline Trail (around Mt. Hood). Mt. Nantai rises more than 4,000 feet from the plains.